Where and how a plant is grown, how it is acclimated, and how it is cared for are all factors in determining beautiful foliage. 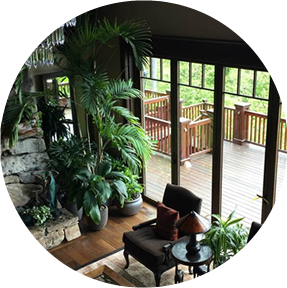 Our years of experience assure clients they are getting the best in plants and maintenance. 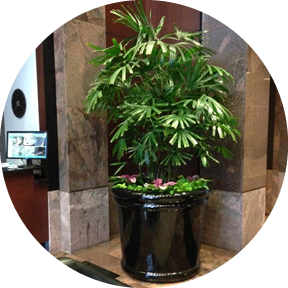 Whether you buy or lease plants, our guarantee ensures that your interior plantscape is always lush, healthy, and handsome. Our maintenance services include proper watering, cleaning, dusting, pruning, application of nutrients, removal of litter, control of insects and disease and cleaning of decorate containers. More than just “watering,” our professionals use proven techniques and state-of-the-art equipment to ensure your foliage receives the right amount of water, at the right time, in an efficient, safe manner. They are trained in the use of water transports, specialized watering machines and sub-irrigation techniques. Our uniformed technicians and state-of-the-art vehicles and equipment project our professional image. All technicians are trained to meet security requirements and to provide unobtrusive, nondisruptive service. We are committed to providing the highest quality of service and care. 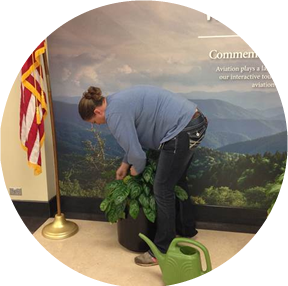 Plants under our guaranteed Plant Replacement program, all necessary replacements will be made promptly. Making your surroundings more attractive. 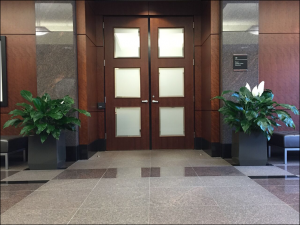 Plants bring life and beauty into every environment – offices, retail and public spaces. 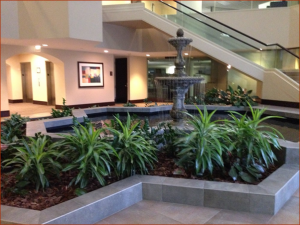 Adding tranquility to busy places, they help building owners attract and retain tenants. They enhance office surroundings for employees and provide a living welcome to your clients. 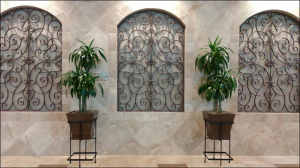 Tropical Creations offers a variety of services to keep your space looking naturally beautiful all year long.